The dynamic lesson plan templates designed for the students can be accessed on education.minecraft.net. 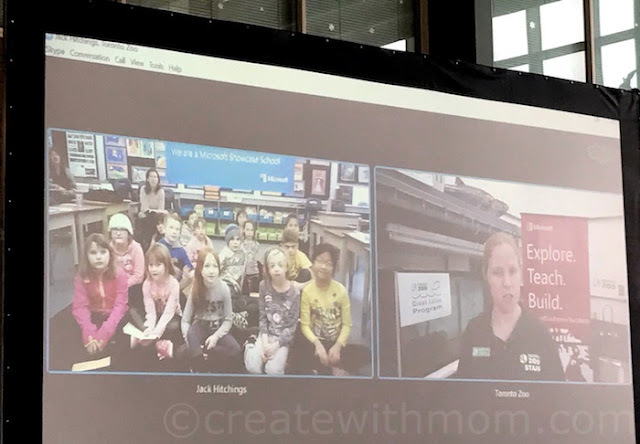 As part of this program, teachers have the opportunity to request for Teacher Ambassadors to visit their classrooms, take students to the Microsoft Store or request to borrow ten Windows devices. Details about this program is available at microsoft.ca/exploreteachbuild. We had the opportunity to watch as the Toronto Zoo hosted their first Skype virtual field trip - where students from Port Alberni, B.C. 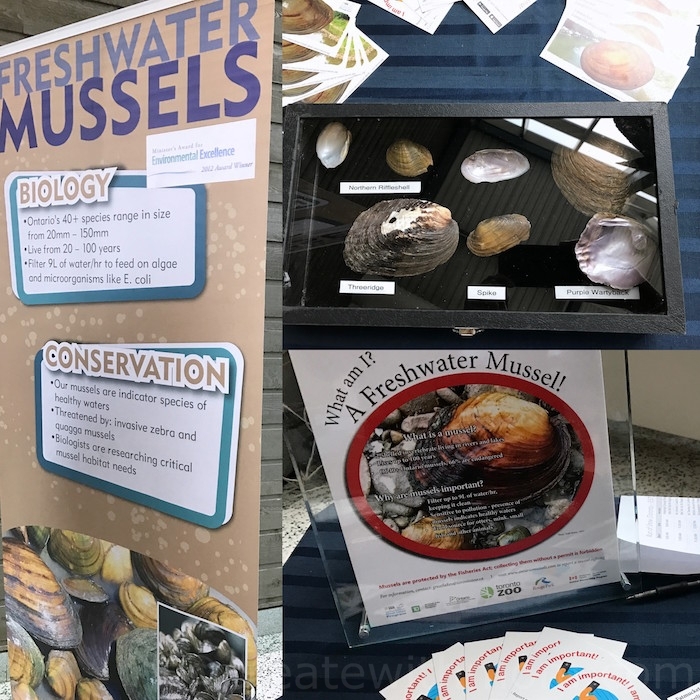 4,000 kilometers away connected with staff from the Toronto Zoo Great Lakes Conservation program to learn about how the endangered Atlantic Salmon are re-introduced into Lake Ontario. During this real-time virtual tour, we liked how learning comes alive as students engage, ask questions, and make real world connections. These collaborations are an adventurous way for students to learn about issues concerning our world. It is wonderful to see how technology creates learning opportunities and gives access to resources and connects students with experts, adventurers, advocates, and real life scenarios regardless of the students' location. 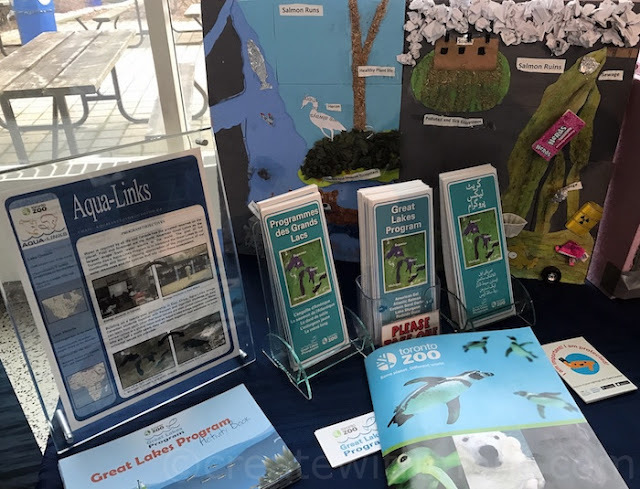 It is wonderful to see organizations such as WE.org endorsing programs such as these to connect and create opportunities to unveil children's potential and inspire future generations of global travellers. These opportunities allow students to go on adventures without leaving the classroom. As a parent, I appreciate Microsoft's ongoing commitment to make education immersive, inclusive and inspirational through technology. All rights reserved on mentioned photographs and written content Createwithmom © 2010 - 2017. Please Ask First Disclosure: For reviews and/or sponsored posts on this site I may have received special perks as part of my affiliation. Please note that all opinions and thoughts expressed our my own. great ideas. thanks for the introduction. Huh, I hadn't heard of this before today, and I have a child in grade 4 who I know would love this - will have to do some research on this for her! What a great initiative. Thanks for telling us about it! Oh my I know lots of adults who would also enjoy this. It looks wonderful.